Are Electric Vehicles Inherently Safer Than ICE? 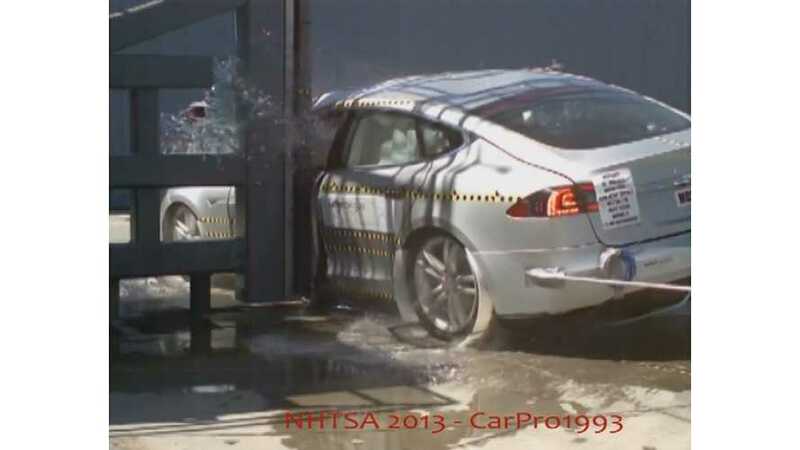 "A longer crumple zone means there’s a longer period of time in which the crash is unfolding. The vehicle can slow down over a longer period of time, which benefits the people inside." 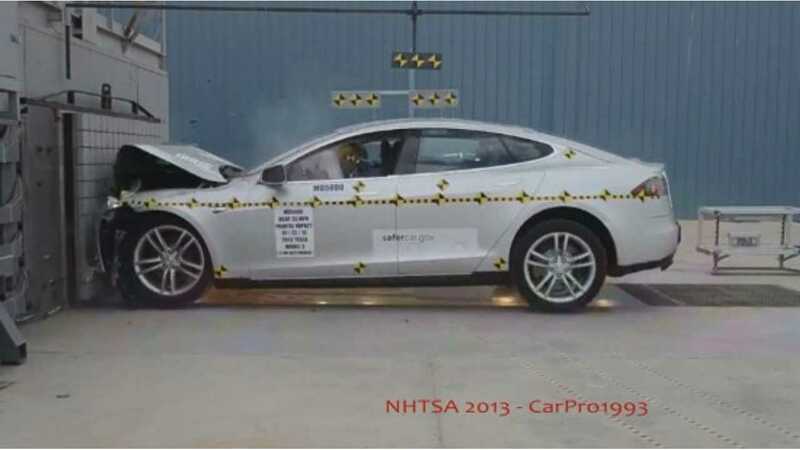 Those are the words of Russ Rader, a spokesman for the Insurance Institute for Highway Safety, who was commenting on the successful testing of the Tesla Model S.
"The Model S has the advantage in the front of not having a large gasoline engine block, thus creating a much longer crumple zone to absorb a high speed impact. This is fundamentally a force over distance problem – the longer the crumple zone, the more time there is to slow down occupants at g loads that do not cause injuries. Just like jumping into a pool of water from a tall height, it is better to have the pool be deep and not contain rocks." Okay, so that explains why the Model S is safe in frontal crashes, but most of today's electric vehicles still have "rocks" in the engine bay area, yet the majority of them still score well in overalls safety and most even beat out their near-identical gas-fueled siblings (i.e. 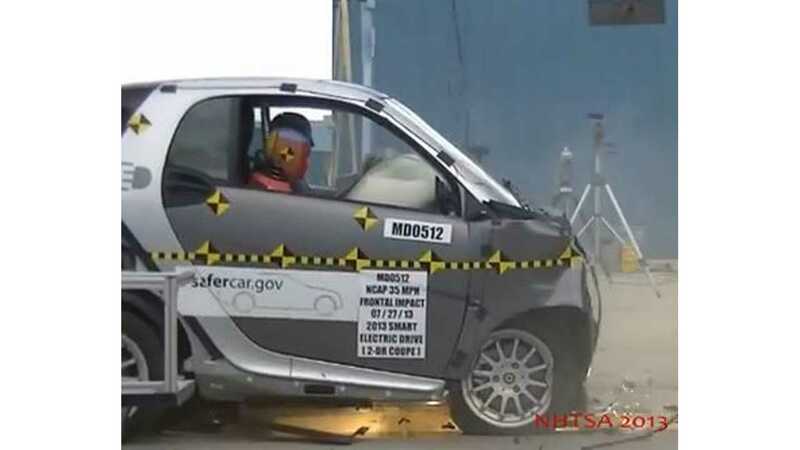 Smart Fortwo Electric Drive versus ICE Smart). What explains this? "It's simple laws of physics. If you’re in a crash between a heavier vehicle and a lighter one the heavier vehicle will perform better than a lighter one." That's Rader's way of saying that the added weight of the lithium-ion battery pack makes the typical electric vehicle safer than its non-electric counterpart. So, in this way, it seems electric vehicles are then inherently safer than ICE, at least when its an apples-to-apples comparison (i.e. Ford Focus Electric versus ICE Focus or Honda Fit EV versus ICE Fit).